"The Gigantic Question" in Washington Irving's History of New York. This student site from Prof. Edward Gallagher's Early American Literature Class (Spring 1999) presents an annotated version of Book I, Chapter V of Irving's work. 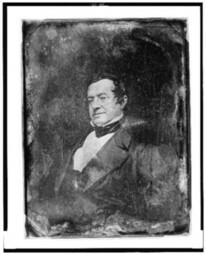 Washington Irving (1881). A brief biography in text format by nineteenth-century editor, author, and co-author (of The Gilded Age, with Mark Twain) Charles Dudley Warner (1829-1900). Brief biographical sketch at the Literature Network.